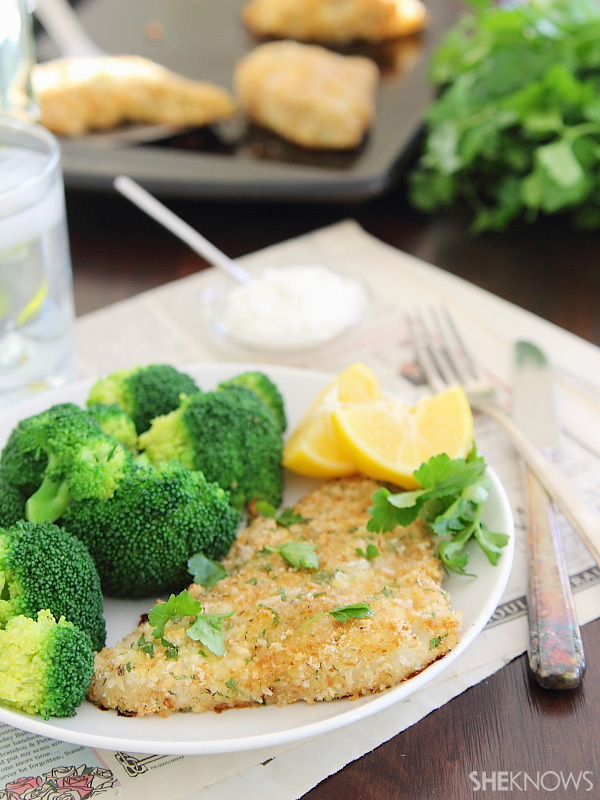 Oven-baked fish is a perfect alternative to the more caloric fried version. Not only is it better for you, but it is easy to make and tastes just as good. Serve the baked fish with a side salad and some fresh vegetables for a healthy and hearty meal any time. 1-1/2 pounds mild-flavored fish, such as orange roughy, mahi mahi, cod, etc. Lightly oil a shallow baking pan. Rinse fish and pat dry. In a small bowl, beat egg with water. Dip fish in egg, then roll in crumbs. 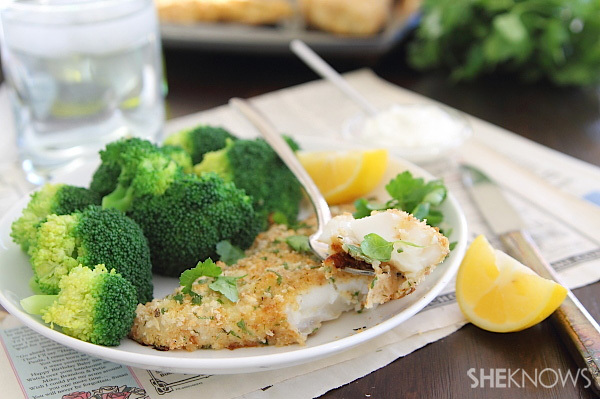 Arrange breaded fish in baking pan. Sprinkle with lemon pepper and parsley; drizzle melted butter over all. Bake (uncovered) 20 to 40 minutes (depending on thickness) until done (fish should flake easily and be completely opaque). Serve with tartar or fish sauce for dipping.